He responded with Orio Palmer and the men of Ladder 15 on the 70-something floor of Tower Two trying to clear a path for those higher up to evacuate down. 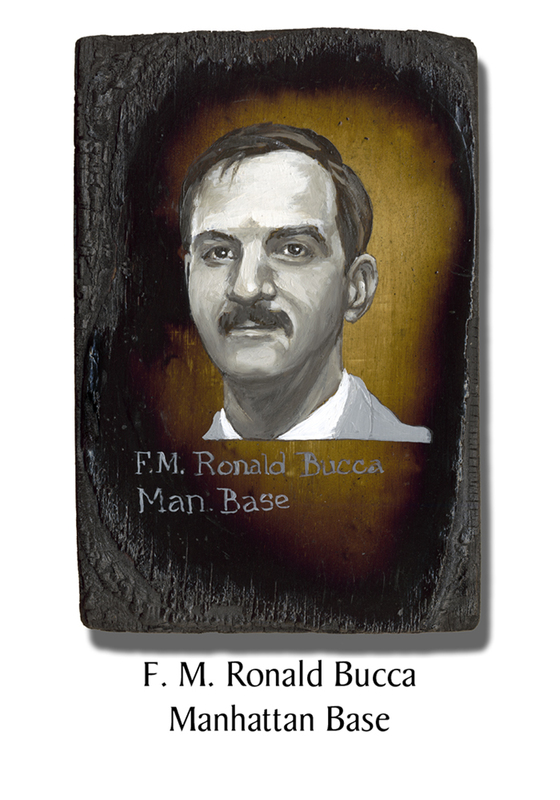 Bucca had been in the military for 29 years, and had recently been promoted to Warrant Officer in the US Army Reserves. He had spent time with military intelligence, Special Forces Green Beret. He was also a licensed practical nurse and had degree in fire science from John Jay College. Battalion Chief Charles Kasper, 54, of Special Operations Command, was home with his family that Tuesday morning when his beeper rang. He hopped on an engine near his Staten Island home to race to the scene. “Drive it like it’s stolen” was a favorite saying of his. Kasper’s daughter and infant grandson lived 6 blocks from the WTC and she was out that beautiful morning pushing her stroller when she saw the plane strike. Kasper told his wife to tell her he’d be coming by to pick them up after he finished his work at the WTC. 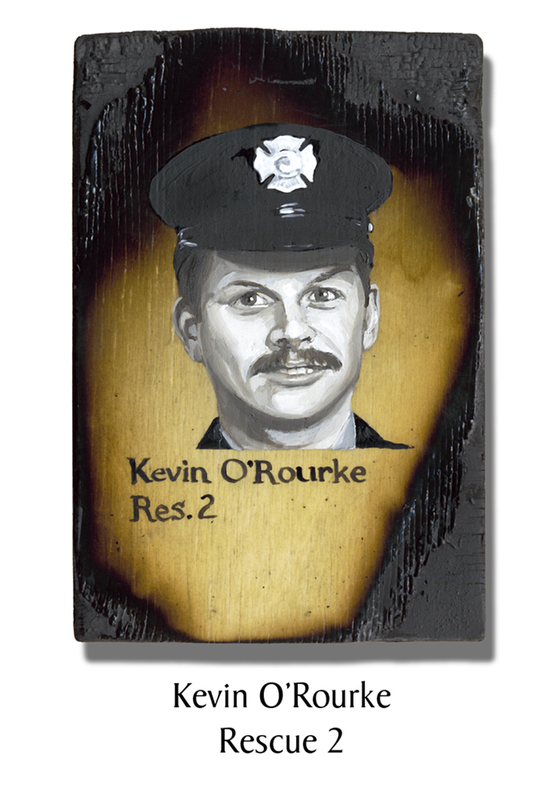 A rescue expert and former Captain of Rescue 1, he had responded to the Father’s Day Fire where he and Ray Downey worked to rescue and find the trapped firefighters. He loved rescue and special operations. 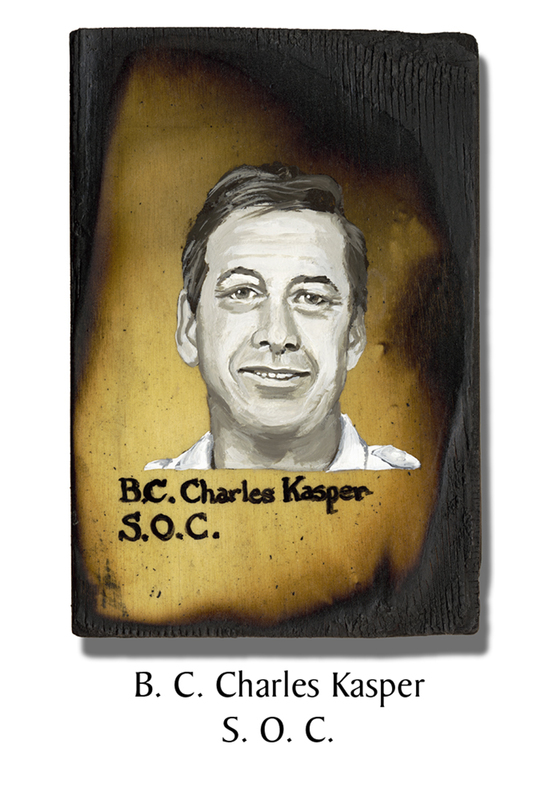 Posthumously promoted to Deputy Chief, on 9/11 he was directing fire operations in the North Tower. 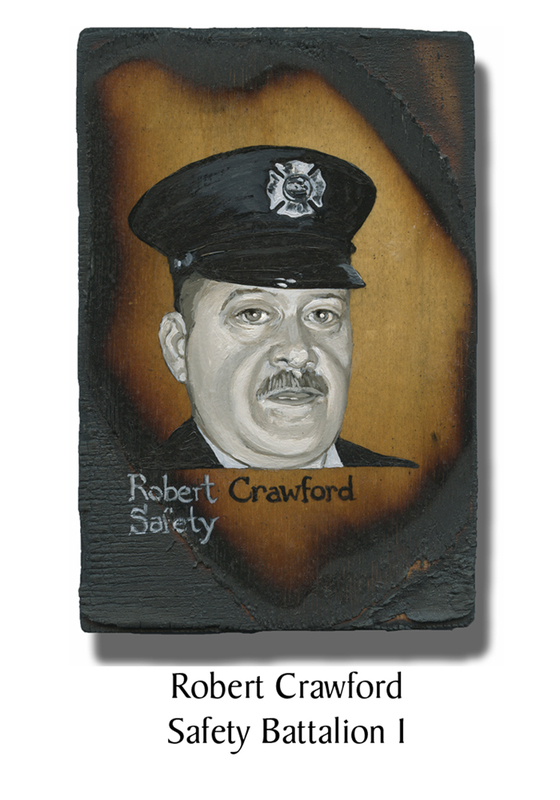 Robert Crawford, 62, was with Safety Battalion 1. A firefighter for over 32 years, he sometimes talked about retiring but could never bring himself to actually do it. He was the father of five grown children, two of whom are NYPD. When not on duty, he could be found tinkering in his workshop or fund-raising for St. Rose’s home, a local cancer hospital. 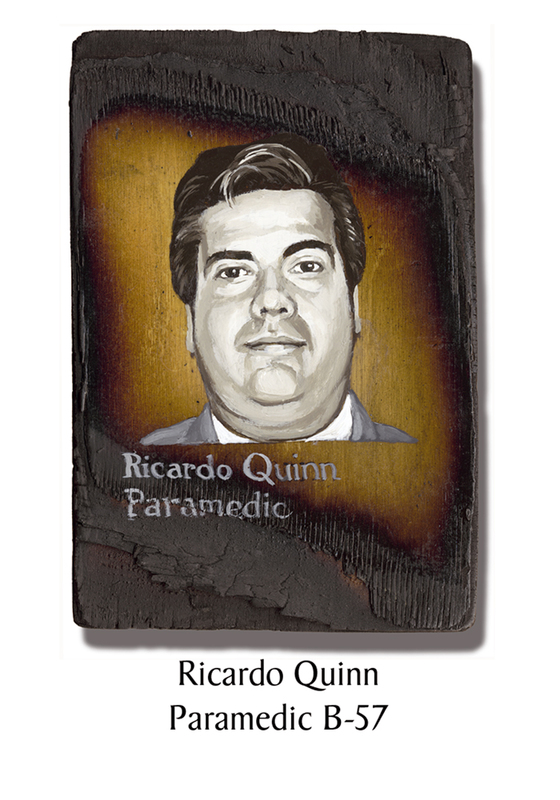 Ricardo Quinn, 40, was posthumously promoted to Paramedic Lieutenant. Recent shoulder surgery meant he was on light duty on 9/11 and he responded on his own. He was seen at Tower 2, first helping another paramedic who had been injured by falling debris, then helping in the lobby. Quinn met his wife on Jones Beach when they were both single parents watching after their small sons. They were married a year later. He would make massive sand sculptures and was known for his tasteful nudes. Quinn had served in the Coast Guard as a young man, and it was aboard a Coast Guard vessel that his ashes were carried three miles out to be scattered on the ocean as he had wanted. 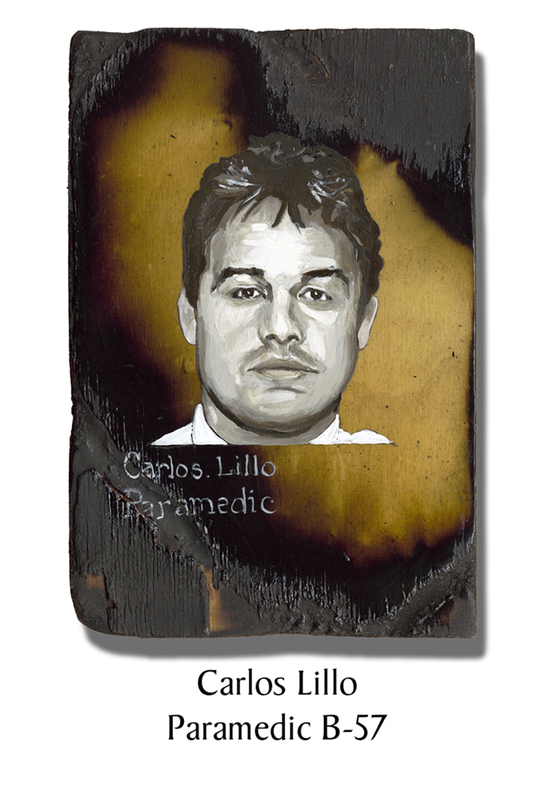 Carlos Lillo, 37, was an FDNY Paramedic based with Battalion 49, He had worked 16 years for FDNY EMS. His wife worked on the 64th floor of the North Tower & safely escaped just before the building collapsed, but they were unable to communicate with each other that morning, although both tried repeatedly. Although they had gone to high school together, it wasn’t until 15 years later that they remet at a New Years Eve party and talked through the night until daybreak. Wanting to start a family, they had a scheduled appointment with a fertility doctor for later that week. 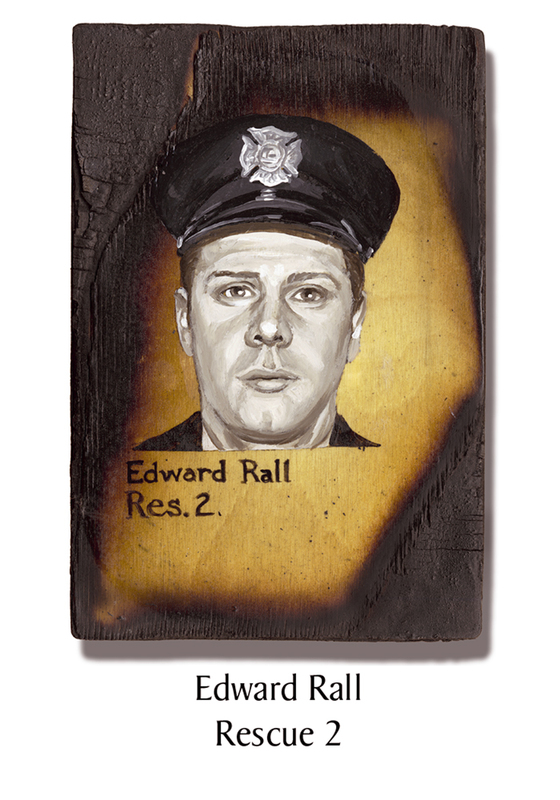 Edward Rall, 44, came from a family of firefighters: a grandfather, two uncles and a couple of cousins. His two brothers were NYPD officers. He loved the job and made a point of keeping fit enough to do the rigorous work demanded of Rescue companies. He had been with Rescue 2 for more than six years. Rall had three sons: 16, 14 and 12. He coached the two who played baseball and went to cheer on the marching band competitions for the other. In the summertime, the family stayed close to home. His wife remembers him with a cigar and a light beer, sitting on the porch he added to their house, barbequing dinner with friends. “It was a very simple life,” she said. They liked it that way. 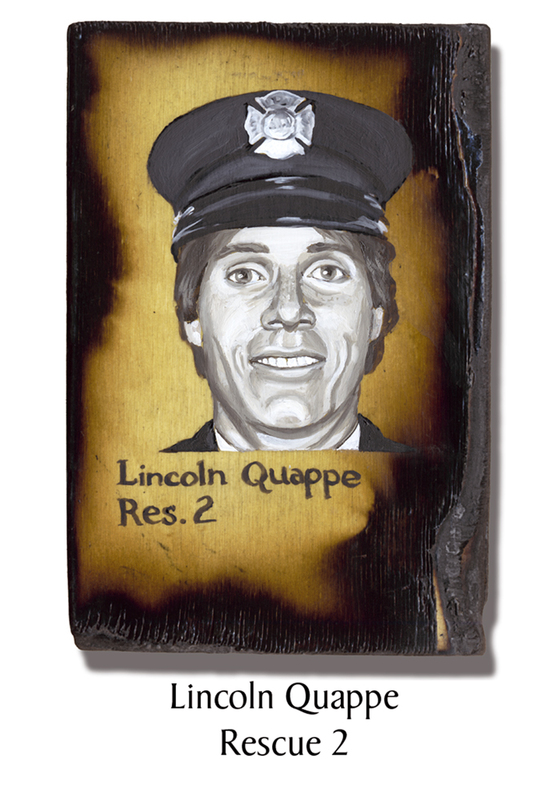 Lincoln Quappe, 38, was a 16-year FDNY veteran. Serving as a member of Rescue 2 was a dream come true. He had a reputation as an aggressive rescue firefighter, “relentless in his drive to improve his skills.” He welded in his spare time, adding appendages to the training tower so he and the team could practice specialized rescue techniques. At home, he was all play with his son, 8 and daughter, 5. He was “a true sit-down-on-the-floor, play-G.I.-Joe, play-Barbies, build-Legos, 100% kind of dad,” said his wife. If he was on duty when his son played baseball or soccer, his wife would call him with play-by-play details as the game progressed. He took his kids on nature trips to teach them about herons and egrets and ospreys. 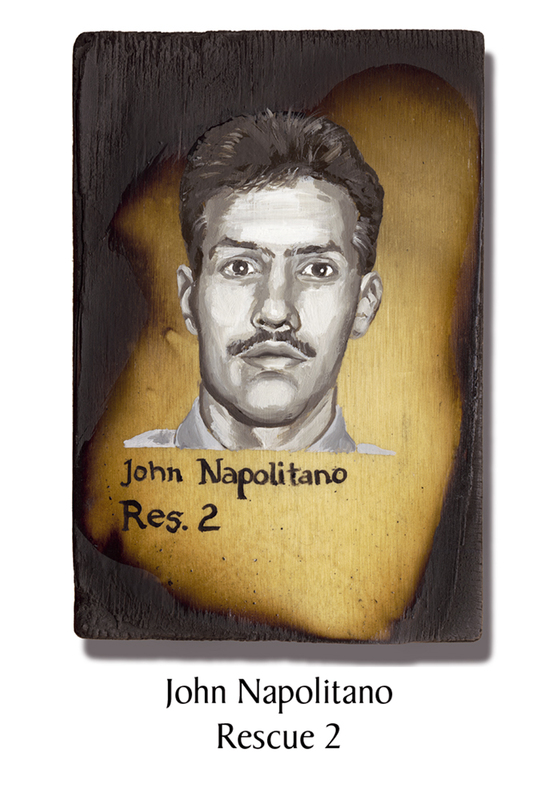 John Napolitano, 33, was posthumously promoted to Lieutenant. He had 10 years with the FDNY and a box full of medals. He began his career at 17 when he became a junior volunteer for the Lakeland FD in Ronkonkoma, where he eventually became their youngest-ever chief and then a commissioner. “Firefighting was his life’s work, but not his life.” His life was devoted to his family. His two little girls, 6 and 3, were the light of his life. Daniel Libretti, 43, was a graduate of a restaurant school and had a side job as a assistant pastry chef at La Caravelle, a Manhattan French restaurant. When he cooked in the firehouse, he served up “meals they couldn‘t afford on the outside.” He was such a good cook that Rescue 2 changed it’s nickname from “The Pudding Heads” to the “Mousse Heads” after Libretti arrived because of the chocolate dessert he served them almost nightly. 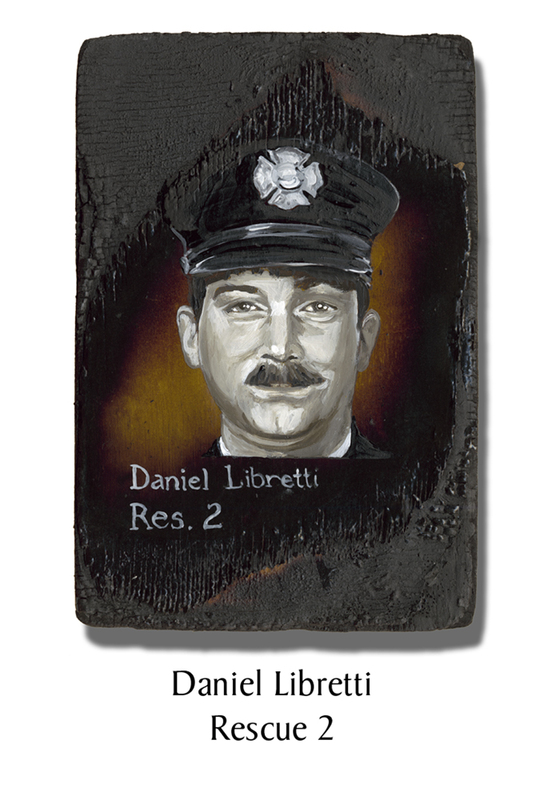 Libretti spent 15 years in Ladder 203 in East New York. At the time it was the busiest and maybe most dangerous firehouse in the city, with up to 30 calls a night. He moved over to Rescue 2 in 1999.